The Utah Jazz provided the biggest surprise last season, taking advantage of a second half schedule that ranked as the easiest in the league to go on a remarkable run and finish as the 5th seed in the West. More importantly, they knocked out Russell Westbrook, Paul George, and Carmelo Anthony from the first round of the playoffs with their usual gritty, defense-first style. The emergence of Donovan Mitchell as a potential NBA star, vast improvements in the pick-and-roll chemistry between Ricky Rubio and Rudy Gobert, and a roster that has been carefully molded to fit the system lends for plenty of optimism for the Jazz to build on last season’s success. It won’t be easier, however, as a number of teams in the West improved in the offseason. With that said, there should be plenty in the tank for the Jazz to walk away from the regular season looking forward to playoff basketball once again. You know a team is peaking at the right time when its role players are shining. 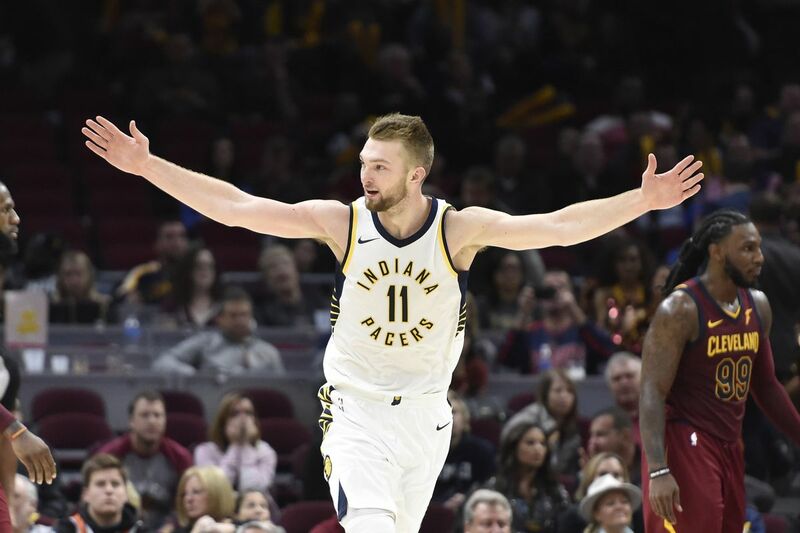 The Pacers are getting set for an epic playoff run led by their All-Star Victor Oladipo (3/27/3/5/3/0) and their breakout star Domantas Sabonis (0/30/8/3/3/0). Yes, the 30 points were a career high and, yes, both players were acquired via trade (for Paul George) in the off-season, but that is not even the most amazing thing about the Pacers’ season. The crazy thing is that the person who was supposed to be their can’t-miss stud has been an all-time dud. Myles Turner has had an extremely disappointing season in both real-life and fantasy (funny how those are tied together) and last night he may have finally hit rock-bottom: 0/0/1/0/0/0 in just 6 minutes. No, it wasn’t injury-related. It was foul-trouble related, which should be strictly a rookie problem for big-men. The Pacers could end up being a very dangerous playoff team if somehow Turner can figure out his issues. My money is on…..drumroll…..no, no he won’t. This has been a problem the entire season, so there is no reason to believe he will suddenly be the team star again. I do think he will have some good nights, but overall he will be the same. 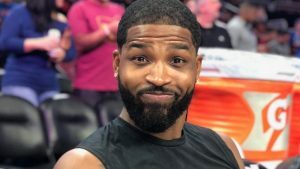 The good news is that the Pacers can win without him (maybe that is messing with his head and confidence), so it is not really that big a deal. 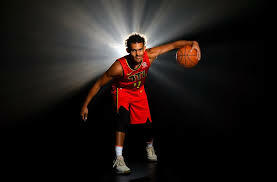 The bad news is the Pacers cannot win a championship without him. But more good news, nobody expected them to even be in the playoffs, so they are playing with house money. 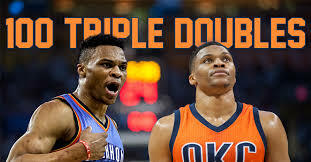 Russell Westbrook gets triple-doubles so often that I think most fans take for granted the greatness that we are witnessing. Like NBA history making greatness. Last night, Russ picked up the 100th triple-double of his career, as he led the Oklahoma City Thunder to a 16-0 run late in the fourth quarter to seal the victory over the lowly Atlanta Hawks in a game they were supposed to win. Westy scored 32 points, dropped 12 dimes, and pulled down 12 rebounds to become the third-fastest player to reach the 100 trip-dub mark. Only Oscar Robertson (277 games) and Magic Johnson (656 games) got to number 100 quicker than Russ, who accomplished the feat in just his 736th game. These stats tell me two things: 1) Russell Westbrook is really awesome and we are lucky to be able to witness his greatness and 2) The Big O was friggin’ unbelievable! 277 games? I mean, what? Nikola Jokic better hurry if he wants to even come close to sniffing that kind of epic-ness. LeBron James, the so called “King,” has played in over 1,000 NBA games and he is not really even that close to 100 triple-doubles (ok, he’s pretty close, but still). I am saying (typing) all of this in an effort to put Westbrook’s greatness in perspective (because I am sensing that he is not getting the kind of love he deserves, most likely because ya’ll jealous of the man’s killer threads and overall sense of style). But anyway, yeah he’s good. Russell Westbrook also only trails Robertson (181), Johnson (138), and Jason Kidd (107) on the career triple-double list and trails only Kidd on the my head’s shaped like a basketball list. However, since we are a fantasy basketball website I will stop boring you with general NBA history and give you Russ’ final line from last night: 0/32/12/12/1/1. I know, zero threes, what a bum.